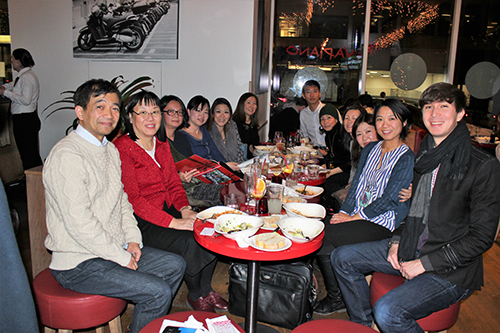 The Sophia University Alumni Association, Washington, DC Chapter (DC Sophia-kai) got together for a happy hour at an Italian restaurant in downtown DC on December 7th. Everyone was kind enough to make time during the busy holiday party season to say good bye before I headed back to Japan. Over the years the DC Sophia-kai has provided me with precious opportunities to meet other Sophians from various backgrounds whom I would have never had a chance to meet if I were in Japan. I consider myself very lucky for having been able to make great friends with the DC members while I was away from home. I would like to express my sincere gratitude to the organizers who are dedicated to planning great events and I wish DC Sophia-kai continued success and prosperity. Thank you very much for the years of unforgettable memories while I was in DC!